Designed to showcase all of the possibilities and promise of tomorrow Epcot’s Future World features immersive pavilions that aim to entertain and educate guests as they become active participants in the world of technology and innovation around them. Future World East is where guests can visit to experience the importance of human communication, the wonders of space, and the thrill of speed! 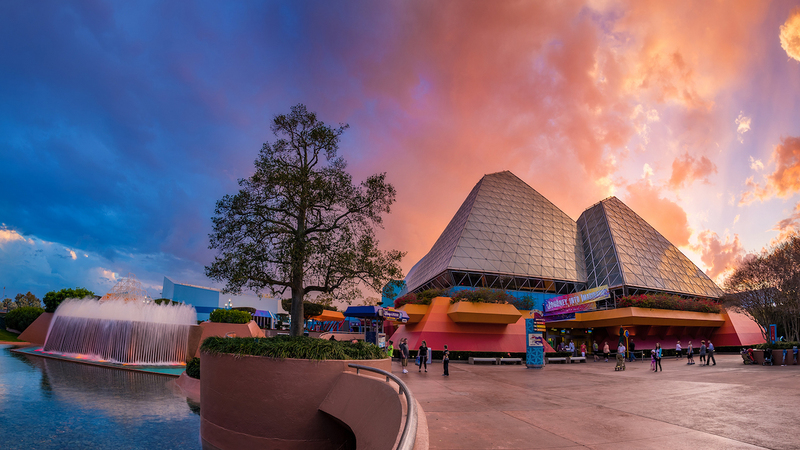 The Spaceship Earth pavilion takes guests to the dawn of recorded history, then on a journey throughout time to experience the progression of communication before allowing them to experience how it has helped connect the world we live in today. The Test Track pavilion showcases the technology and efficiency of motor vehicles and their effect on our world. Mission: Space is a thrilling look at the possibilities of space exploration. Finally, Innoventions aims to shed light on cutting edge technology.